So the holiday season is officially over , most of us are back at work or school or have already broken one or two of our resolutions . Although things have quiet down a bit , it seems the party season is just warming up here in Jamaica. This year I decided to skip all the holiday parties or fire works at the water front in favor of quieter pursuits (i:e stay home and binge watch Nurse Jackie .. don’t judge me ). Seriously though, I chose to spend on one party all season, Shaggy & Friends, for these 3 reasons. 2. Fresh off of winning NBC’s The Voice , Jamaican sweetheart Tessanne Chin was the headliner. It was her first performance since winning this show and it’s just one of those things that you feel you would regret missing out on. 3. It was partying for a good cost. 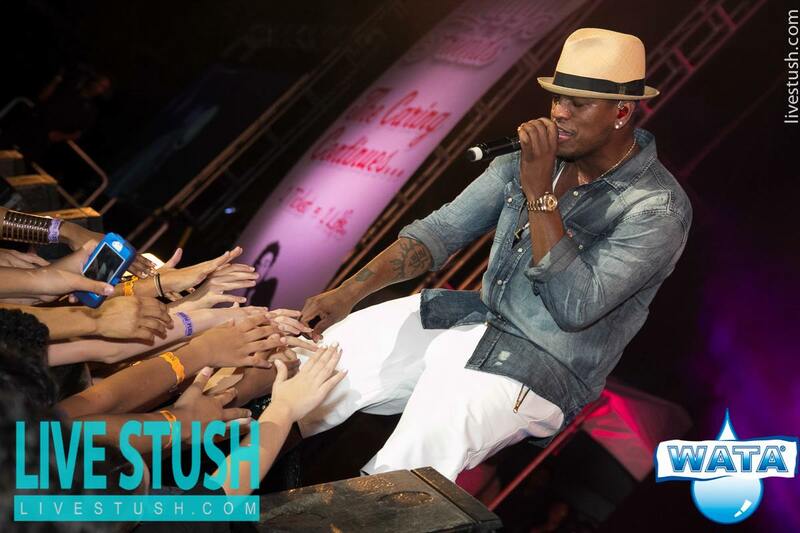 All proceeds were in aid of the Bustamante Children’s Hospital in Kingston. 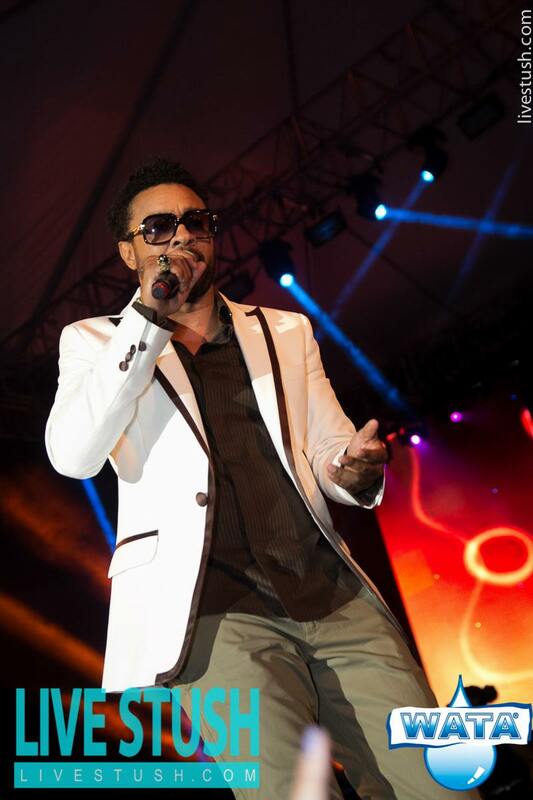 Shaggy has been involved with the hospital for years and have somewhat adopted the institution which provides health care to thousands of children across Jamaica. He has donated his personal money and through the concert which was in it’s 4th year of staging has raised millions . It’s the best feeling in the world having fun and knowing you are contributing to a great cause. 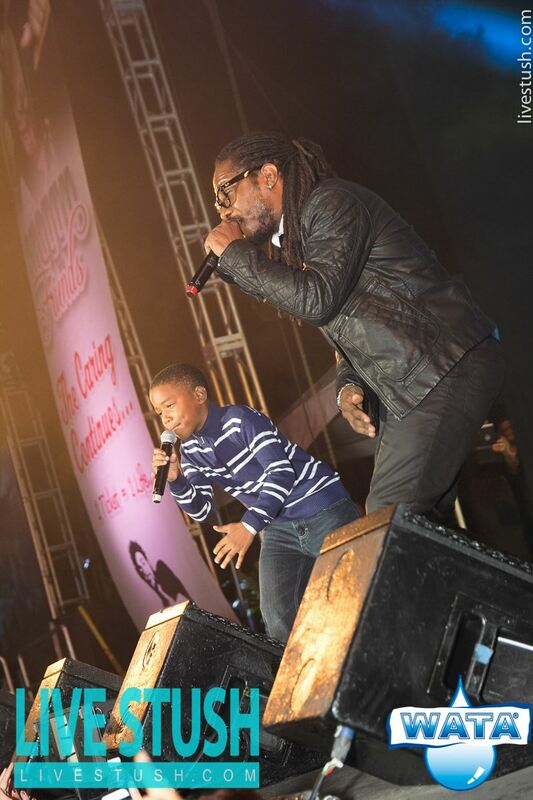 The show was sold out and more than 10,000 people filled the lawns of Jamaica house while 2.6 million viewers streamed online or watched on . It was my first year attending and I was extremely impressed. The show started on time ,there was no long band changes , the performances flowed smoothly and everyone brought their A-Game to the stage except for one or two questionable moments . Like this…….. 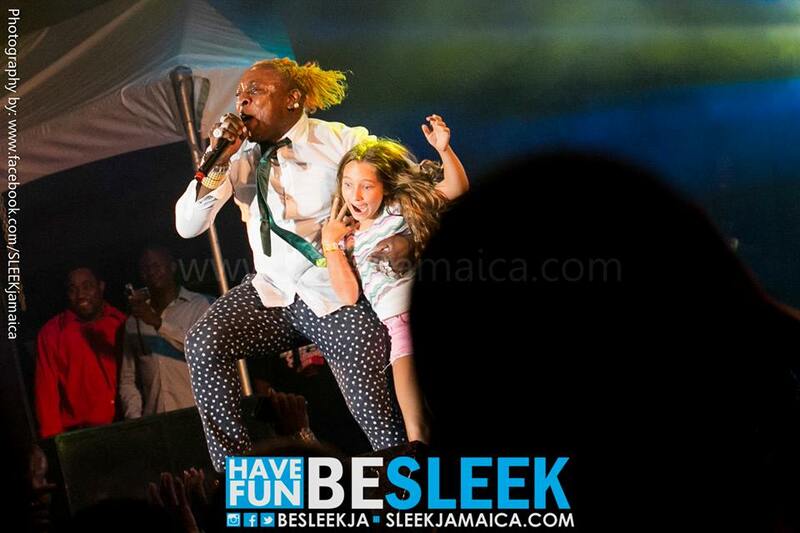 Elephant Man pulls a little girl from the crowd to help him signal the plane ..uhm…. 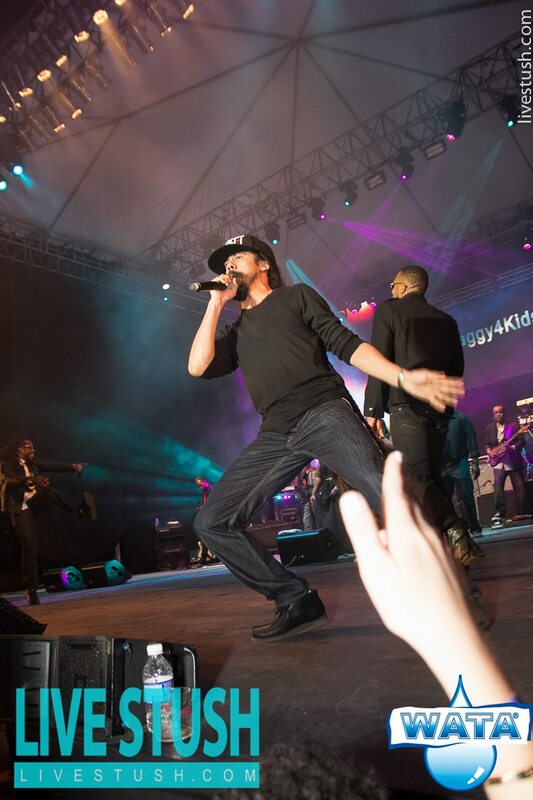 Usually the early acts on stage shows are not so exciting or rather warm ups to when the headliners take the stage but Shaggy & Friends was exceptional from start to finish. Veteran Artistes like Pinchers and Admiral Bailey were in full form especially Admiral Bailey. 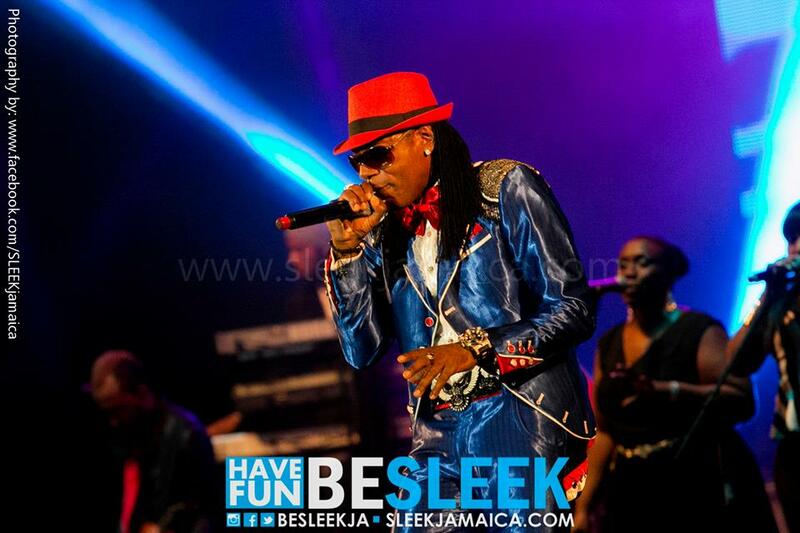 His performance transported me to the 80s/90s , the era when some of the greatest Dancehall songs were born. There was a teenage boy beside me and I watched the blank look on his face while the crowd was singing along word for word. I felt a little sorry for him as he missed out on one the most awesome period in music. Within five minutes of the performance he started smiling because although he probably had never heard the songs before , Admiral Bailey’s performance was nothing short of stellar. 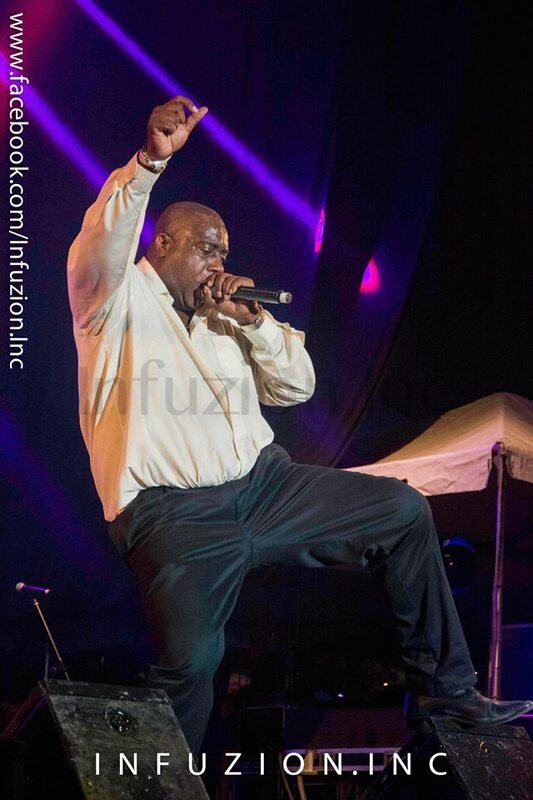 Twenty years later he demonstrated that he still could do the Della Move and reminded everyone why he was a King DJ back in the day and could easily roll with the best of them today. The organizers of the show clearly have a winning formula as it is one of the most diverse and impressive lineups I have ever seen on a one night show. There were many high points in the show and audience were left craving more. Check Infusion.inc’s Facebook album for more highlights . The show may be over but you can still support the cause. This is an awesome event to put on your entertainment calendar. I will do my best to give you some notice for the next one. Have a fantastic weekend.